My name is Rob Scribner. I am not a real estate agent, nor am I a mortgage broker. I am the owner of Northwest Custom Webs ( ) . I have built and maintained over 180 web sites for real estate and mortgage companies. I have met the most productive agents in Northwest and I know what makes them successful. Let's start with web sites. The most productive sites out there are simple and sweet. A main page telling the viewer about you, and contact page, and most of all, your listings or services, Yes a resource page and a small write up about your area is okay, but trust me. 9 out of 10 viewers just go straight to your listings. If you do not have very many listing, then list some from other agents and help sell their homes and land. You still make money. Too many agents load their site up with garbage. Most folks only have a few minutes to view your site, so make your site easy to read and navigate, and keep your contact information in front of them at all times. that they forget the most important thing about a website. Marketing!! You can have a poor site or a $10,000.00 site. Both are worthless if know one sees it. Put your effort and money in web marketing, not mortgage calculators and school listings. The next thing I have noticed successful agents do is. Even with technology and email, nothing beats customer service. The most successful real estate agents and mortgage brokers create a homebuyers team. I have watch some of my clients go from a average sale person, to mufti million dollar agents. The trick is a full service team to support customer viewing of homes, mortgage and office support. The last secret to real estate success is seminars. I have a agent I support that has learned the secret to real estate success and finally put in on CD's and created a process to run successful seminars for home buyers. 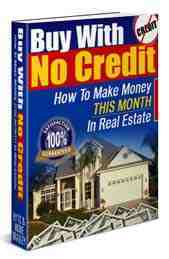 Visit this product at www.realestate-success-seminar.com . real estate market with good websites, team concepts and homebuyers seminars. So remember, simple website, good marketing. Team concept for good customer service and full service, and homebuyers seminars. Bring the buyers to you.